It’s Christmas Week and Day #26 of 30 Days To An Unstuck Christmas! Just a handful of days left to rejoice and prepare. Hallelujah! I’ll say a little prayer for a sweet parking spot to open for us today–and then for us to pass it by and point it out to the rustled and ruffled sister behind you to be blessed! Have you ever prayed for a parking spot to open just when you need it and it HAPPENS?! I always think of those silly times as a God kiss or even a giggle! I recently had a crazy real life moment where God’s timing was absolutely tangible. I won’t go into the details but at the exact moment I was uttering a prayer for God’s help and direction, the help and direction came. Now let me just say, I RARELY have the privilege of experiencing my timing match God’s timing so specifically. In fact I am constantly seeking God’s plan verses my plan! God’s word is slap full of supernatural timing! It’s not a coincidence that the call for a census was the first census that took place while Quirinius was governor at Syria (2:2). In fact it is very important to Dr. Luke that we recognize this fact. Once again, we see God’s hand in fulfilling the Christmas prophecy. Timing. The Old Testament tells us that a savior will be born to us in Bethlehem the town of David. Given the decree from Caesar Augustus, Joseph follows the law and he and Mary travel to Nazareth. He went to register Mary (Luke 2:5). Timing. Now we have God’s plan on paper, documentation for the future skeptic that requires evidence of this occasion. God left nothing to chance so that the more we investigate his words the deeper our faith becomes, just read, Evidence that Demands a Verdict, by Josh McDowell. Timing. Today’s scripture sheds light on the faithfulness of God’s promises. What might be happening in your life, right now, today, that is a reflection of God’s perfect timing? I can think of several. We have a choice everyday to believe our actions are dictated by circumstances or directed by the Divine. Prayer: Lord, I pray that in this season, I am sensitive to your perfect timing. I long for every move I make to be a step toward the greater plans you have for my life. I pray for obedience to your Holy Spirit promptings and a sensitive ear and heart to what you are directing me to do, say, complete. I trust your timing for fulfilling your great purpose in me. An Idea for Your Unstuck Christmas HOME! Plan a Happy Birthday Jesus Party!! Whether you have small children, big teenagers, grandkids galore or you’re an all-grown-up household, it’s always sweet to infuse the holidays with fun festivities. I thought this family’s story was darling and right on! Has anyone ever hosted a Happy Birthday Jesus party? Click the nativity below to find out how they did it! Happy Monday before Christmas Friend! 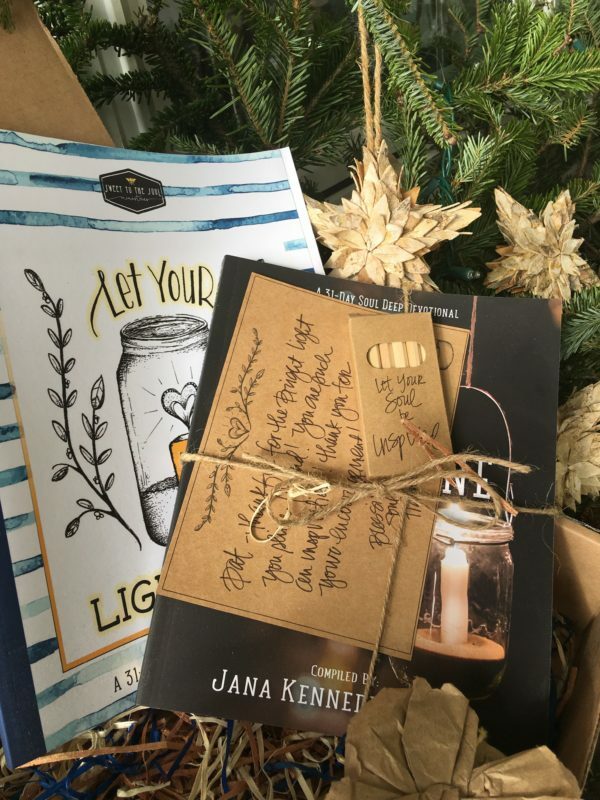 Don’t Forget my Last Giveaway of the year 🙂 Find out how to win–HERE! 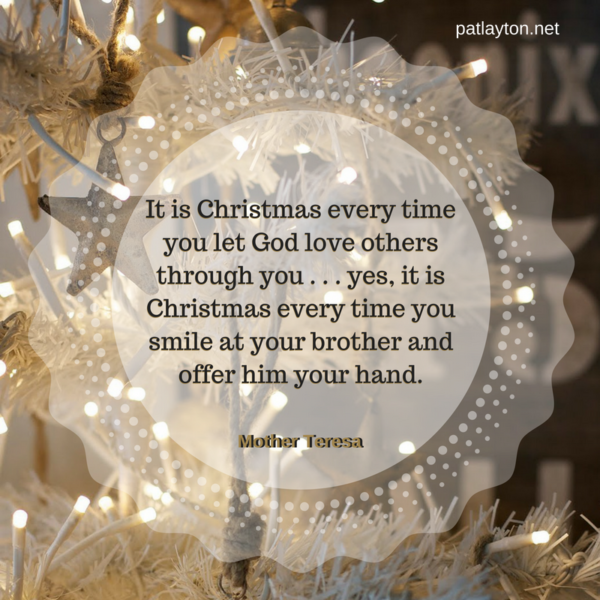 Previous Post: « Day 23 of 30 Days To An Unstuck Christmas! Final Giveaway Reveal! Enjoy Jesus This Week!